WHO WANTS MOSSAD AS AN ENEMY? Even as Zeb Carter hunts the killers of Mossad's Director's daughter, he wonders who would want the Israeli agency as their enemy. And why? It is a trail that takes him to Paris, London and Tokyo, but he might be searching in the wrong places, and facing the wrong enemies. 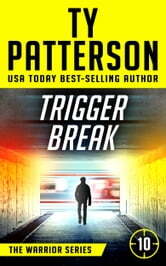 Trigger Break is the tenth thriller in the Warriors Series. Each novel can be read stand-alone. 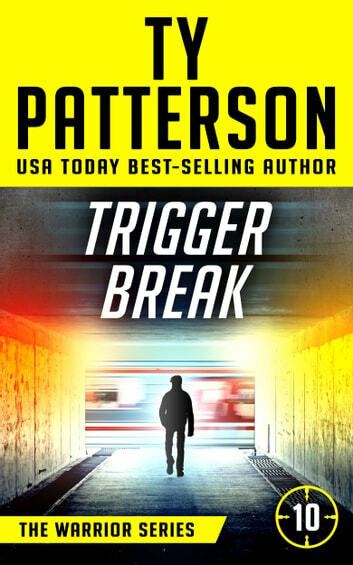 Trigger Break has Ty Patterson's trademark storytelling with epic twists, faster-than-a-speeding-bullet pace, and zero-to-thrills in a page flip. Wow! Okay, so that is not very original. What is original is Trigger Break. Page one starts out with a phone call. Tame enough you say. However, there is a woman on the line. Someone Jeb doesn't know. She asks if it is him, then screams. The next sounds heard chill and anger the passengers in the car as well as Jeb. They track the call and are minutes away. What happens next will make you understand why I started this with Wow! And that is just the beginning. The call begins a cross country case, Bond-like technical devices, important families, dangerous groups, family power struggles, and reveals that could destroy ancient companies. The setting for much of the story is Japan and even Okinawa. We learn more of Jeb's history and what makes him the man he is today. He has some very close calls in this one. This book is a bit longer than some of his other full lengths books and I still had to read it in one sitting. Another winner. My new favorite Ty Patterson book (until the next one comes out). I voluntarily reviewed this advanced reader copy and I have not been compensated in any way. Well worth the time spent reading this eBook. Enjoyed the twists as the story unfolded. Non stop action as Zeb gets a phone call from a friend's daughter moments before she is murdered. The in vestigation leads him to a foreign land that is actuallynot all that foreign to him. I enjoyed this book very much although it took a little bit to get into it. The action, mystery and twists and turns were what drew me in. The only problem I had was trying to keep track of all the Japanese named persons and their relationship to each other and their part in the story.